Posted 2/20/2019 8:51am by Sam Bellamy. With the warmer weather we've had lately the plants have done some serious growing! Most things are still not fully mature but we're beginning to see an increase in what we can harvest. For some early glimpses of Spring follow us on Facebook and Instagram! In the Field: The plants in the tunnels have really benefited from the warmer days as well as the protection from the rain. The spinach and chard are approaching harvest stage, while the beets are getting bigger. In our DIY tunnel we're harvesting several different kinds of greens as well as some lovely radishes. The lettuce that was planted between the tunnels is starting to be ready as well. Right now the amounts we are harvesting of most crops are small, but we're looking forward to a steady increase as we move into March! In the Greenhouse: The amount of plants in the greenhouse are increasing faster than we are setting them out in anticipation of Spring. The lettuce is now ready for planting in the second high tunnel, while we've got twice as many smaller lettuce plants started to plant in the field behind those. We've also started a variety of herbs in trays so that they'll be large enough to go into the field with the end of the cooler weather. The ICI: This Thursday, Feb. 21st we will NOT be at The International Culinary Institute of Myrtle Beach at Market Common. The following week we'll be back on the regular schedule of Thursday afternoons from 1:00-6:00. The selection of produce varies from week to week, depending on how things are growing. 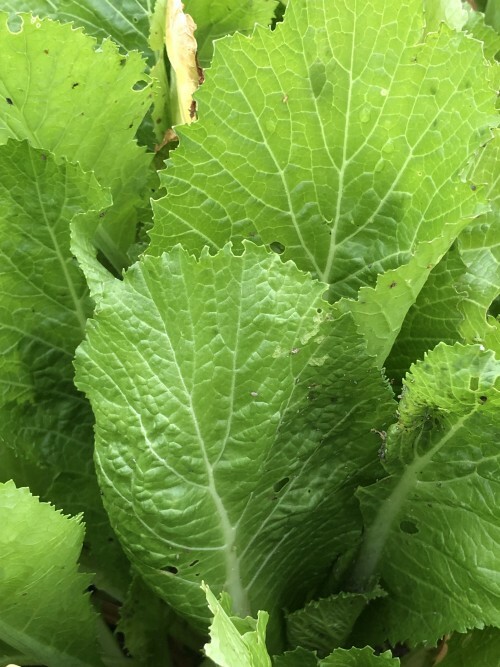 As the crops in the tunnels continue to mature and the lettuce and onions in the field get larger we'll have more and more to bring! We also have expanded our selection of All Natural, Non-GMO grits, cornmeal, and Carolina Gold rice from Geechie Boy Mill in SC. Our Farm Market: We're looking forward to RE-OPENING our Farm Market, most likely sometime in March. The weather and how the crops grow during the next few weeks will have a lot to do with exactly when we open. Posted 2/19/2019 1:39pm by Sam Bellamy. This Thursday (2/21/19) we will NOT be at the International Culinary Institute. We'll see y'all the following week Thursday as usual. Posted 1/7/2019 12:59pm by Sam Bellamy. With the New Year we've made some seasonal changes and adjusted our hours. The ICI: Starting this week (Jan. 10th) we will be back at The International Culinary Institute of Myrtle Beach at Market Common! This market is on Thursdays from 1:00 - 6:00. 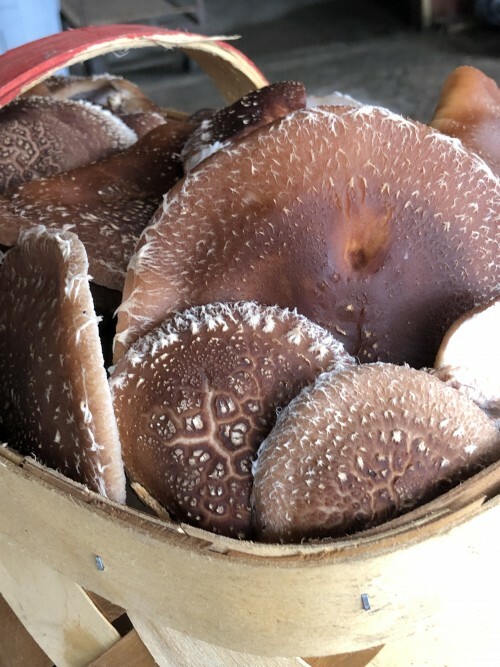 We have harvested some Shiitake Mushrooms that showed up during this recent mild weather we've had. 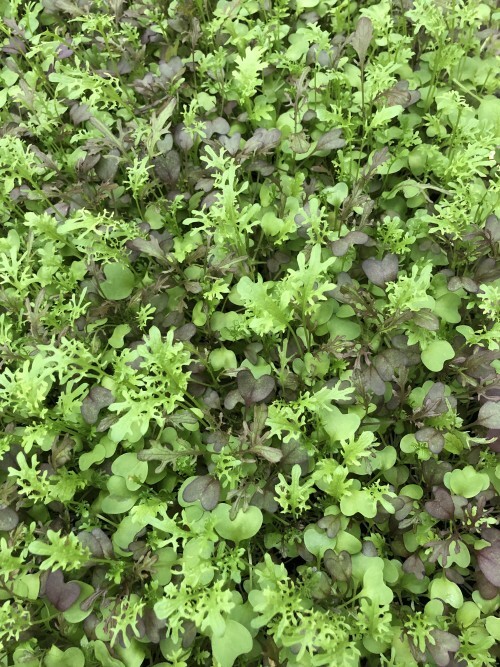 The Micro-greens in the greenhouse are ready to harvest, as well as some of the cool season Turnips, Mustard, and Tender Greens. 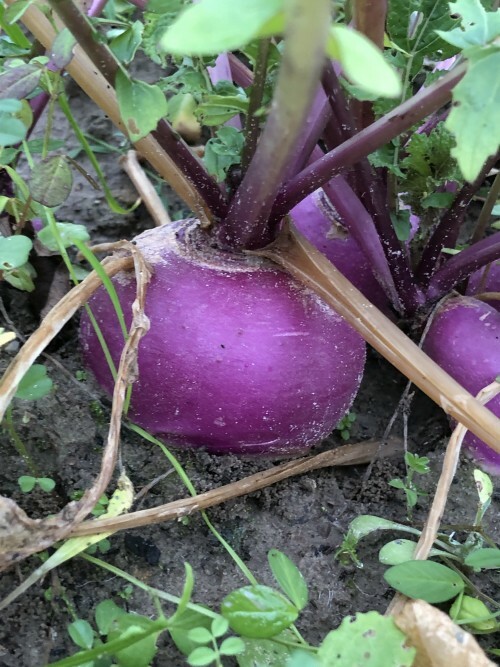 In the Field: We have baby beets, baby radishes, little spinach plants, and tiny turnips growing in some covered beds in the field. The cover protects them and allows them to grow a little more quickly than otherwise this time of year. We also have lettuce plants and onions in the field that we're looking forward to harvesting once they grow big enough. In the Greenhouse: In addition to the Micro-greens we've been growing in the greenhouse, there are more beets, kale, chard, and onions growing in trays until they are big enough to go out to the field. Posted 12/19/2018 1:27pm by Sam Bellamy. 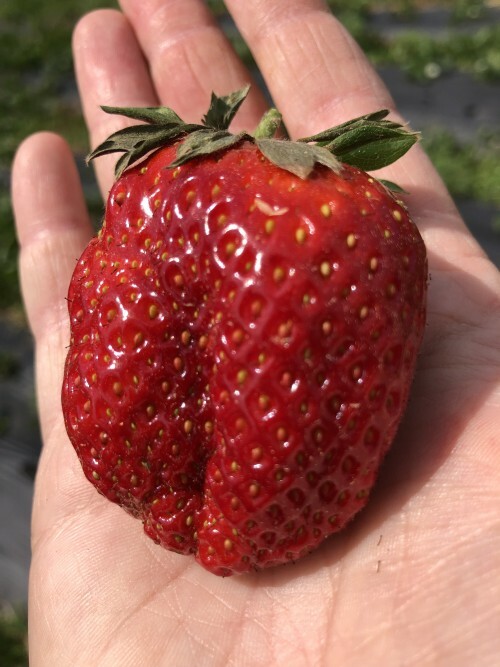 The Farm Market will be OPEN this Thursday, Friday, and Saturday from 10:00 - 4:00. This is the final week of our 2018 season! Our Farm Market will RE-OPEN in 2019 as the days start getting longer. This allows many of our winter crops some time to grow. PS we'll be back at the International Culinary Institute of Myrtle Beach at Market Common in January!